Companies are exploring newer technologies to take customer engagement to a new level. As faster, smarter, and cheaper technologies become readily available, companies and consumers start to adapt their consumption habits to accommodate these. Virtual reality and augmented reality are not new concepts; it is just that when they were first introduced the technology to support or help them go mainstream was expensive. For example, one of the first VR headsets developed in the late 1980s had a price tag of over Rs 32 lakh, while today, an entry-level VR headset like Google Cardboard is available for a few hundred rupees. When people experience virtual reality and augmented reality for the first time, the reaction is to start imagining all the different uses the technology might hold. VR and AR are helping researchers and developers across the globe come up with new and effective ways to utilise these technologies in solving problems and improving experiences. 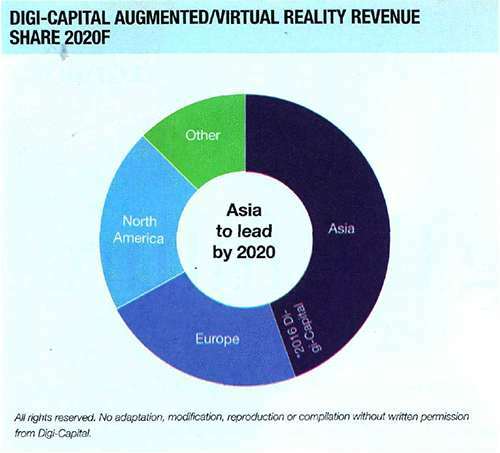 A Digi-Capital report (see graph 1) states that by the year 2020, AR and VR arc expected to be a $ 120 billion industry with Asia being the dominant region leading this growth. AR, VR, and MR (mixed reality) are slowly being adopted in India among retail, entertainment, education, publishing, and industrial sectors. With mobile devices getting smarter and cheaper, the scope of implementing the technologies in India is starting to take off. Presently, there are multiple AR and VR mobile apps available on both Android and iOS stores. As compared to a website or a mobile app, which most brands use as a current means to engage with users, AR, VR, and MR have the potential to offer a greater emotional resonance to objects and topics. By engaging users, the technology creates a highly compelling and enjoyable experience. They experience multiple scenarios in real time, without the need to make decisions based on onedimensional representations. 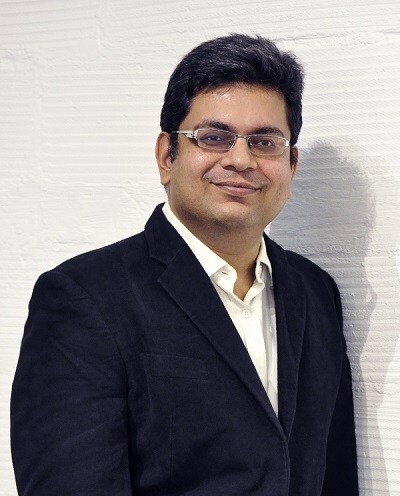 There is a growing market for immersive tech and with the promise of AR/VR applications, organisations in India should leverage these tools as it will not only help them save time and money, but also bring about a transformation in approaching ideas/experiences that could possibly disrupt the current business landscape. AR/VR, at its core is storytelling in an immersive format and not just writing code or designing engaging UI/UX. 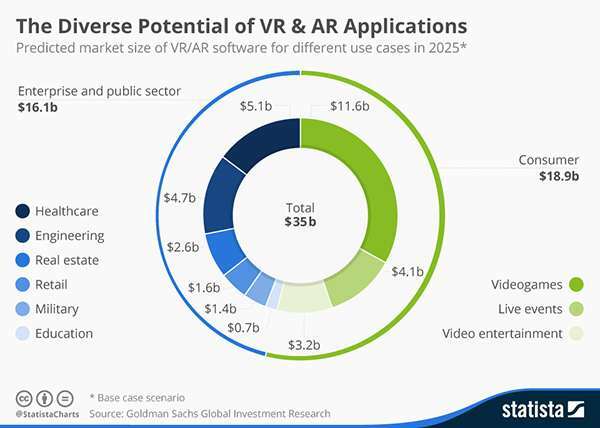 Research done by Goldman Sachs Global Investment (see graph 2), showcases the predicted market size of AR and VR software across multiple industries. Virtual reality and augmented reality, if planned and executed well, can be powerful platforms for organisations to build and enhance their customer experiences. 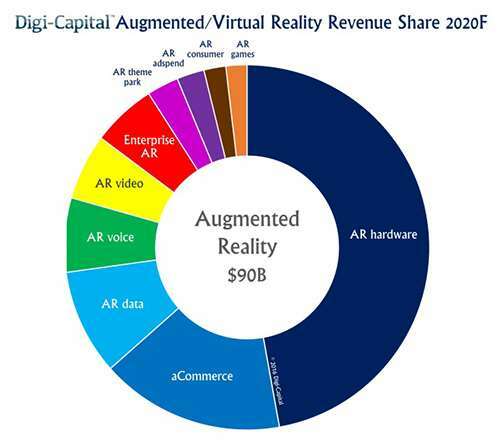 However, it must also be noted that there is no onesizefitsall when it comes to defining an AR and VR strategy, and what may work for one business may not necessarily work for another. Also, to design and develop engaging, immersive AR/VR experiences requires investment from a time and cost perspective, both in terms of creating content and then making it available for users to experience. A halfhearted attempt or doing it just for the sake of it can actually backfire and be detrimental to the brand. 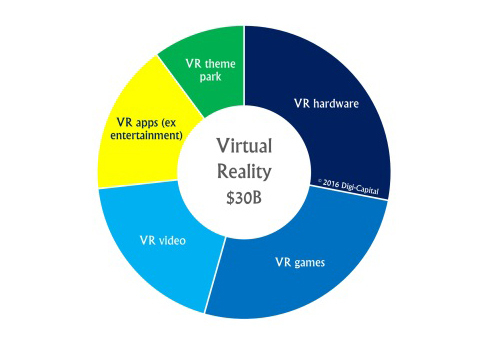 AR/VR, at its core is storytelling in an immersive format and not just writing code or designing engaging UI/UX.Companies looking to invest in AR/VR as part of their marketing and engagement strategy need to be aware of the investment involved, both in terms of time and money, and then take the plunge. It is also important to work with the right development partner who shares the company's strategic vision, and understands not only the development process behind technologies but also understands the art of storytelling. Choosing the right development partner who is wellversed in design, development, storytelling, and creating the right strategy to deliver an immersive experience can be the difference between a company and its competitiors. Training: Companies in various sectors like insurance, manufacturing, law enforcement, etc., are using VR to train their employees on how to handle various scenarios. Samsung is using it for their production line training because it not only saves on cost but is also more efficient. Under the new VR training programme, an employee uses a headset and holds a specially designed tool to work through the manufacturing processes. It allows them to physically get used to the most important steps. Healthcare: Not only as a tool to train students, VR could also change the way your doctor interacts with you. With the help of this technology, he/she could show you how a disease /fracture is impacting your body. Londonbased tech company Touch Surgery offers surgeons an opportunity to train for various surgical procedures using augmented reality. AR wearable devices allow them to learn about operations in a training environment. Tourism: One can visit a country in VR through 360'degree videos of the tourist hotspots and then book a trip to see them in person.The tourism industry is also using AR technology to enhance sightseeing experience.Through a mobile app, tourists can access relevant information augmented over famous attractions. Real Estate: You can see your next home/business space and the surrounding area in VR before you decide to buy. This will save time and money. Architects and designers are also using AR to display interactive 3D structures for clients, a major leap as compared to the traditional print versions. Retail: Major retailers are using AR to engage customers when it comes to buying a product, a digital version of'try it before you buy it', so to speak. An example of this is IKEA using AR in their catalogues to sell their furniture. Users place the catalogue in a desired location of their room and use the app to augment digital versions of the selected furniture to give the user an idea of what it will look like in their living space. TOMS, a shoe and accessories retailer headquartered in Venice, California, donates shoes to underprivileged children across the world. They developed a VR experience of one of their giving trips, to show their customers what it feels like to be a part of this change. Once the VR video (available on YouTube) starts playing, you are transported to a remote village in Peru. You start off with a drive into the village, and you meet children in a school. As you look around, you see that they are incredibly happy and grateful for the gift and you also get to experience the interaction between the volunteers and the children. It is an emotional and memorable journey, and once you have witnessed it firsthand, you would want to tell others about it. VR takes people closer than ever before, and companies like TOMS are leveraging it to effectively deliver their message and mission to the world. Education: VR is already being implemented in this sector. A good example is 'Google Expeditions'. Through the cardboard headset, teachers are taking their students on virtual field trips around the world. 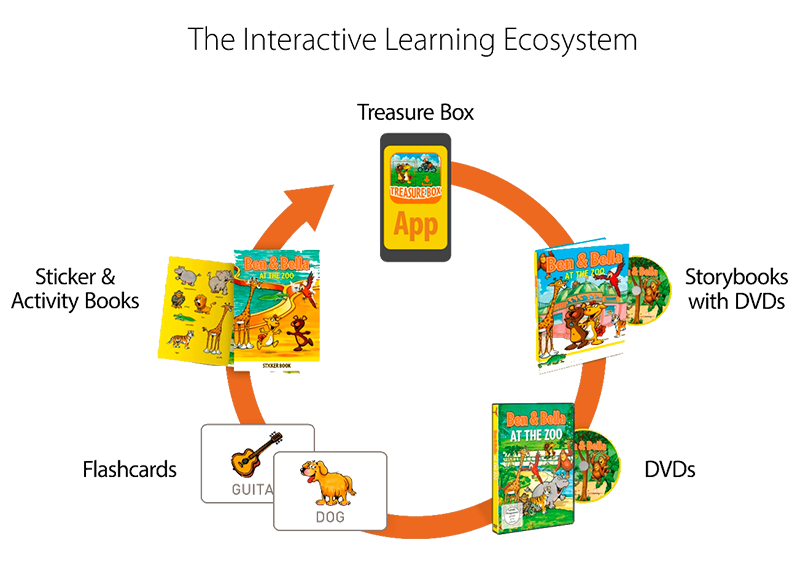 An interesting app that GoPhygital has recently launched is the Ben & Bella Treasure Box, an augmented reality powered app which helps unlock and nurture a child's curiosity and creativity while teaching the English language. By using the ARpowered app, the child can embark on a treasure hunt by scanning and discovering hidden goodies across the various physical products of Ben & Bella franchise like activity and sticker books, flash cards, etc.